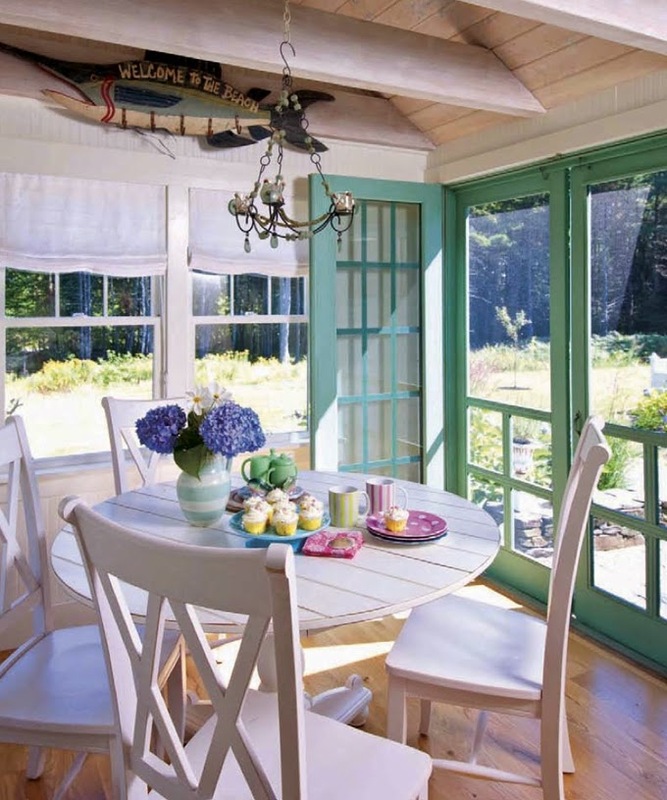 I’m officially ready for summer after seeing this Scarborough, Maine home by Tracey Rapisardi Design! 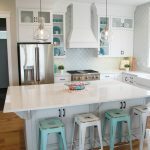 I’m a longtime fan of Tracey’s work and was excited to learn that this is actually her own home, designed to be casual, carefree and fun! 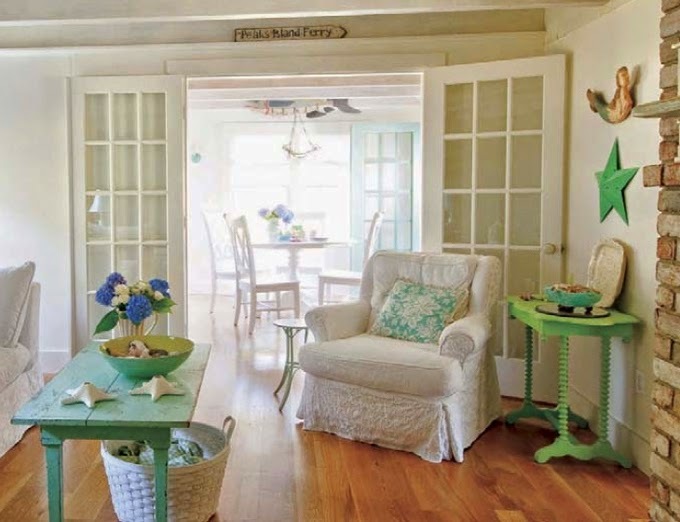 I adore the light, airy vibe and pastel hues throughout! 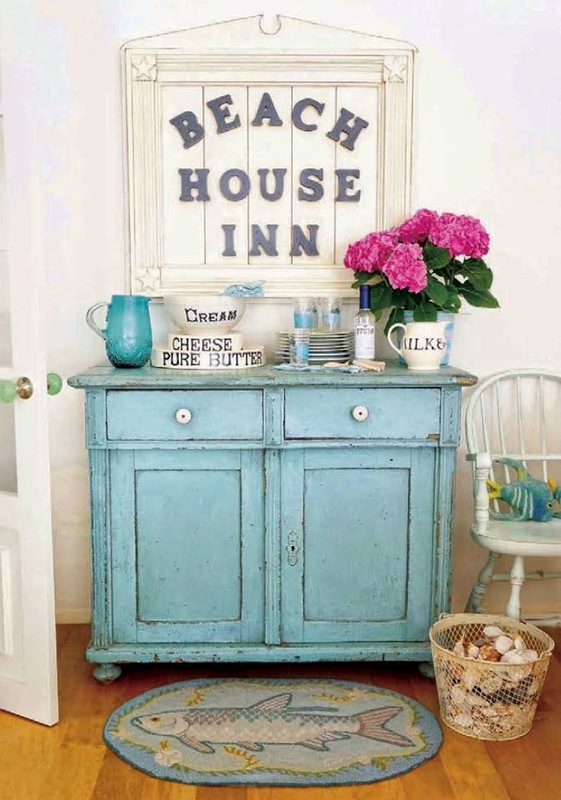 It’s beachy and laid-back, yet so darn pretty too! 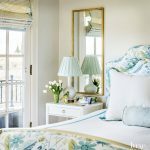 You can read all about the home and see more photos taken by Tracey Rapisardi and Kindra Clineff over at Seaside Style magazine! 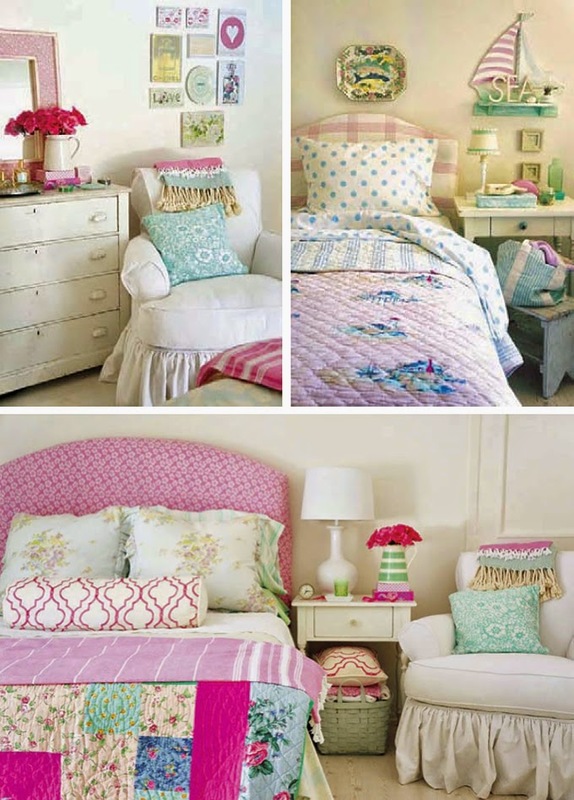 And see more posts I’ve done featuring Tracey’s work here! 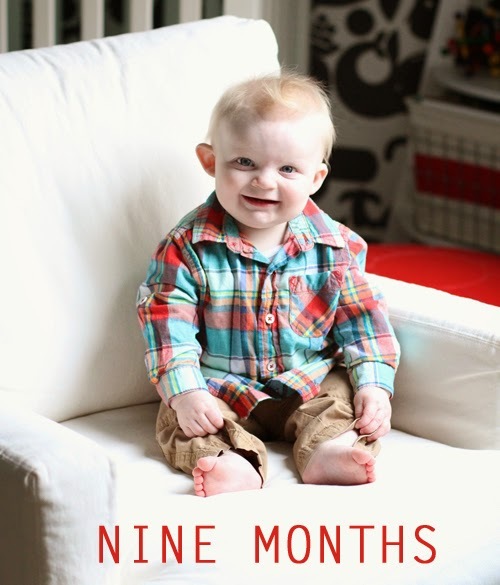 Before I sign off for the holiday weekend, I wanted to share Wesley’s 9-month photo with you all! He has been sick with a virus the last week (his first one! so sad!) but was still all smiles! 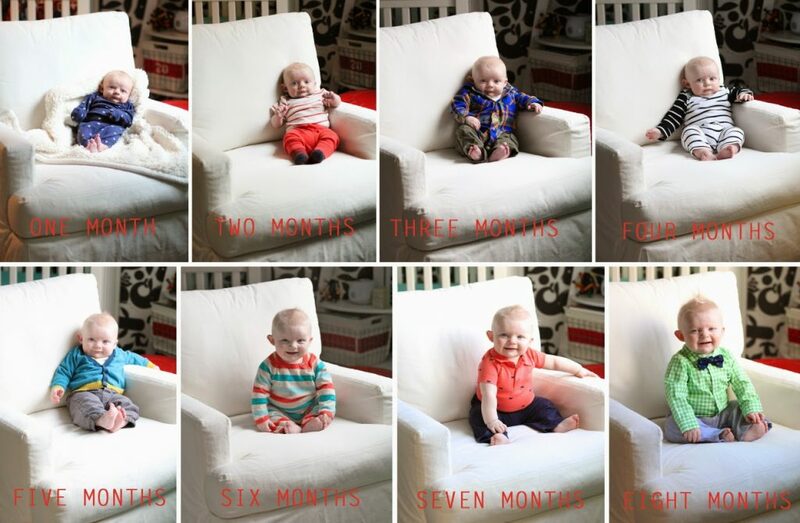 Since last month, his first two teeth arrived and he learned to crawl! Exciting month for us! Have a fun and safe Memorial Day weekend!! I’ll see you back here on Tuesday! Love this house!!! I want one like this!!! Your baby is so so nice! Thanks for sharing your adorable photos of Wesley. It is such a treat to see him grow. I want to live in this house. I know I have said this before of others but this one stole my heart. So much warmth in the design. I love the house. I could move in there and stay the rest of my life. But I really love, love, love the pictures of Wesley. Thanks so much for letting us watch that little buster grow up. Oh my gosh, Wesley is so cute!! And I love this home. It's so country cute. 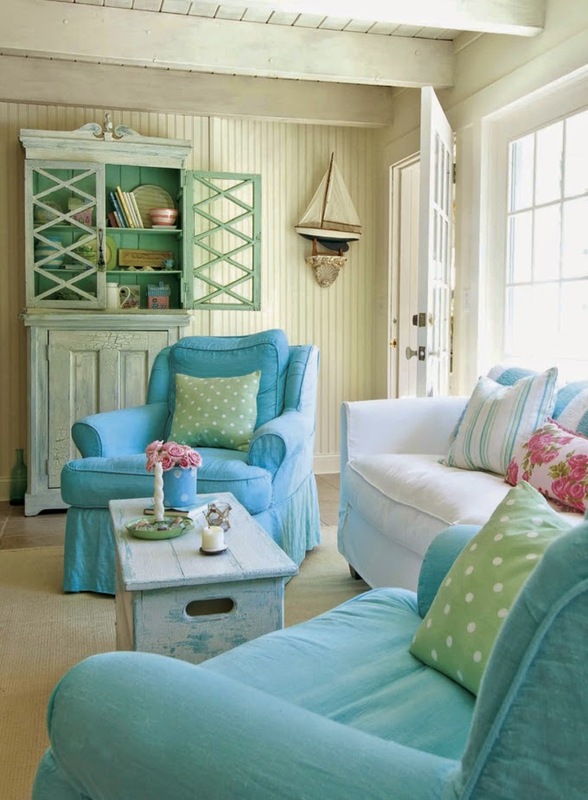 This sweet little house makes me want to have a beach house. Look at that mature little man – he is so darn cute. Wesley, you are adorable. Best thing I've ever seen on this blog. 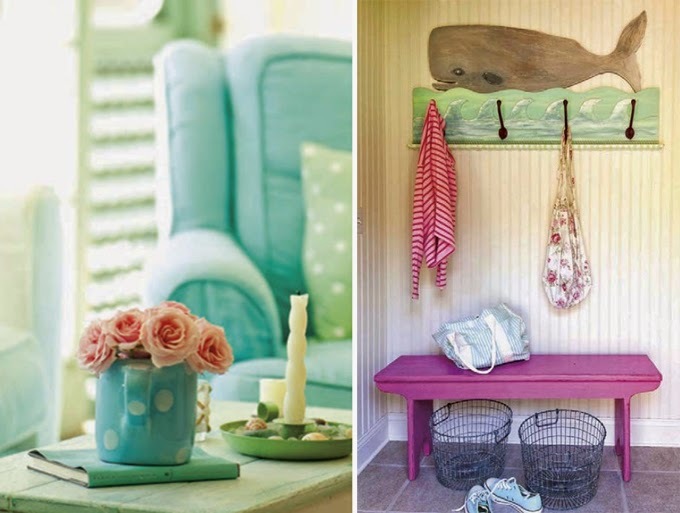 So cute and lovable home interior designing and interior decoration! Blue! Blue!! Blue!!! 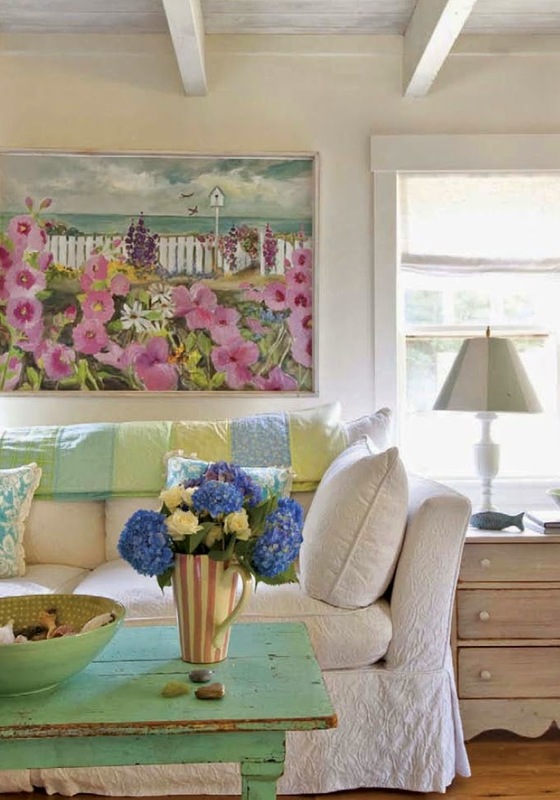 Blue sofa with blue flower vase on blue table made the place beautiful. Again the blue floor mat with fish design. Love them all:) Thanks for sharing. Great ideia. The baby is a man now. wonderful everything!! !Love tracy's work and love seeing the baby update can't wait to see him in person!!!! !